A sound experience with Davin Youngs is a uniquely meditative immersion in healing sounds. 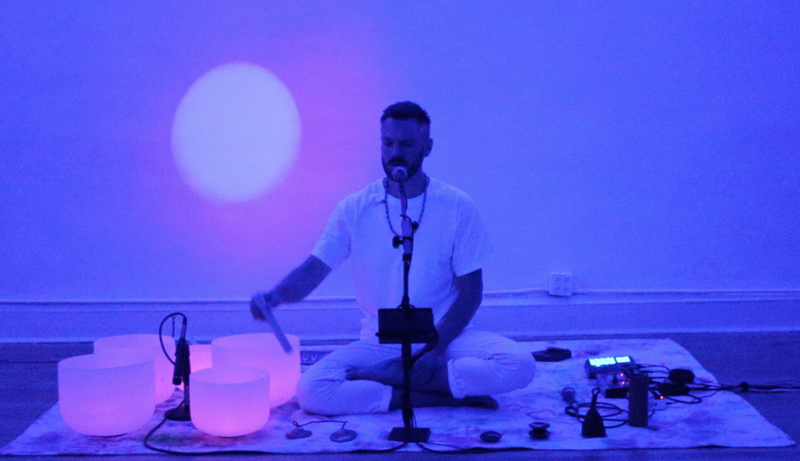 Blending ancient and contemporary tools, Davin uses his voice, crystal singing bowls, tuning forks and other overtone-emitting instruments to transport participants to a place of deep rest, relaxation and elevation. What makes this journey truly special is the subtle integration of electronic beats and emergence of music that reflects the wonder and beauty of the universe and the unique light within. To participate is only to rest and receive. Davin guides the sound and vibration to do the work. Participants often walk away from this subtle, yet powerful event feeling therapeutic and restorative change.